Hello sweet Daisies! I hope you are all really well. 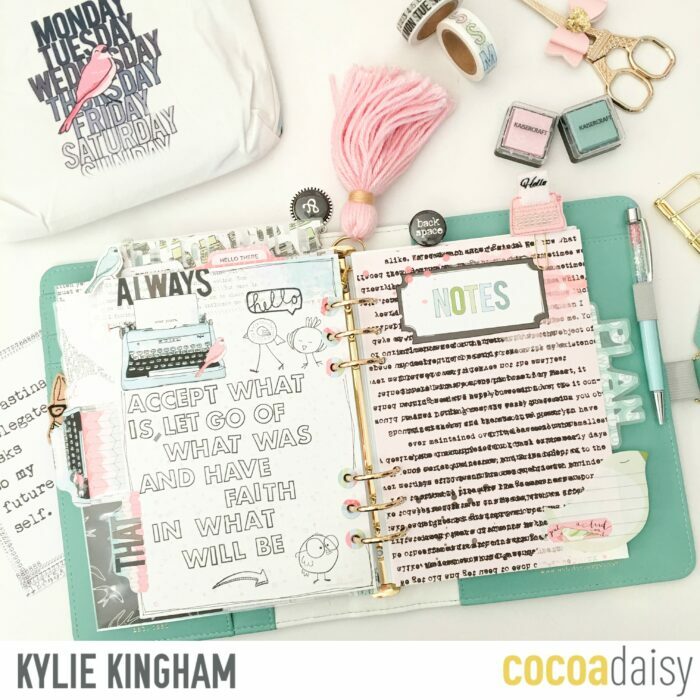 Kylie with you today to share some of my favourite planner projects for September. It’s no secret I love every single monthly theme with Cocoa Daisy. But there is something special about September. I love the colours, the birdies and hello to those typewriters!! 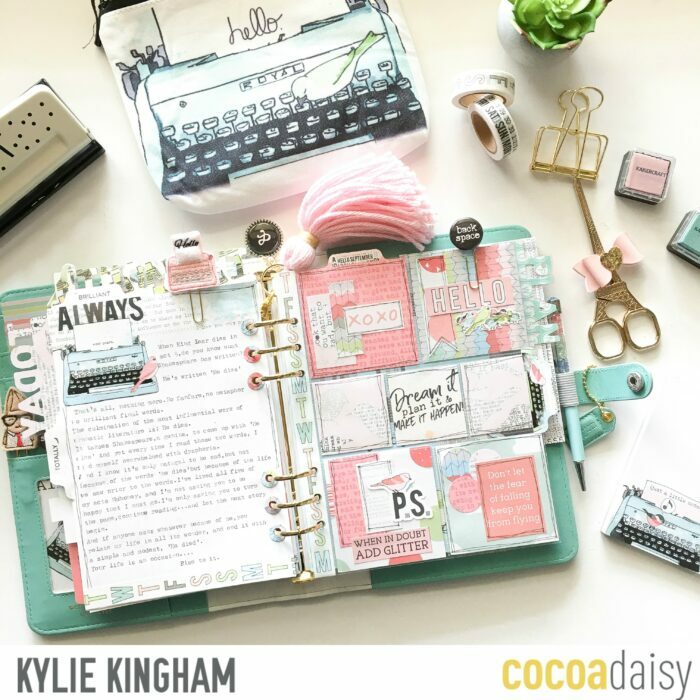 First let me show you a couple of my favourite planner pages, then I will share some cute decorative projects I have completed so far….. Nothing gives me more satisfaction than filling my planner pockets until they are overflowing! I really loved the build your own charm set this month. From this image above you can see I have made paperclips out of the remaining flat backs. I think these are clips I will continue to use for months to come. The black and white stripe bow I made onto a clip using a left over bow I had from my August scrapbooking kit. The monthly view each month is one of my favourites to work on. I love seeing my entire month laid out. 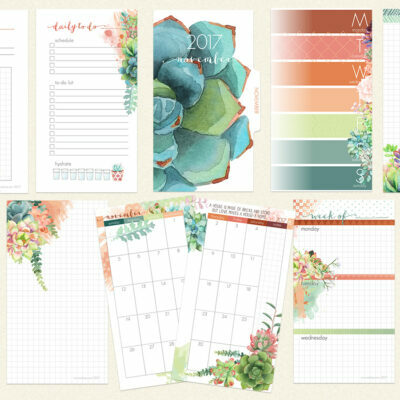 I have had fun working with the FREE planner tabs/word cut files that are available on the website to subscribers.You will find them in store HERE. I have laminated mine to make them extra sturdy. At the start of each month I always create a ‘CURRENTLY’ page. This is purely for the benefit of memory keeping. A great way to look back on things. I usually include anything I am loving, hating, listening to, reading, looking forward to etc. I am always trying to think of fun little inclusions for my planner each month. I created some tags for September using the standard dashboards and lining the back with the lovely rainbow paper of the weekly pages. I will then use these tags for jotting down important reminders. They were so simple to make. All you need to do is cut the top corners evenly off the dashboard, punch a hole for the string before punching the ring holes.Voila!! I really like the appearance of these during my week. I have a love for documenting favourite writings, songs or movie scripts. Sometimes I hear a verse or part of a script and love it so much I always document it. Here I have typed out a favourite part of a story from a recent movie my son and I watched. I have also created a pretty patchwork pocket page.It serves no practical purpose to planning but again I love the appearance of having it in my planner. 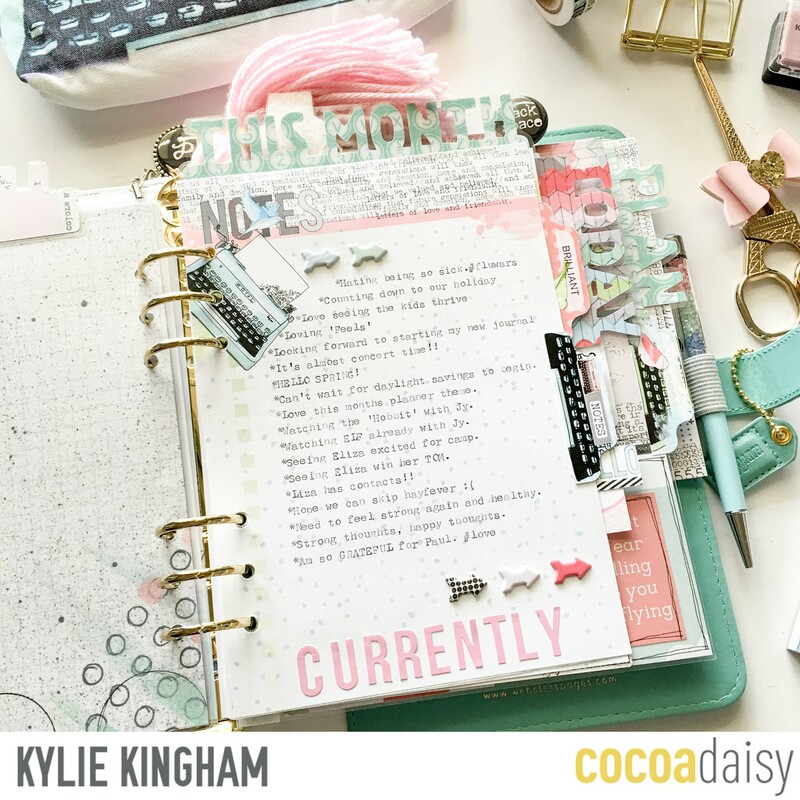 I have used current items from my planner kit as well as left over papers from last months scrapbooking and DITL kits. 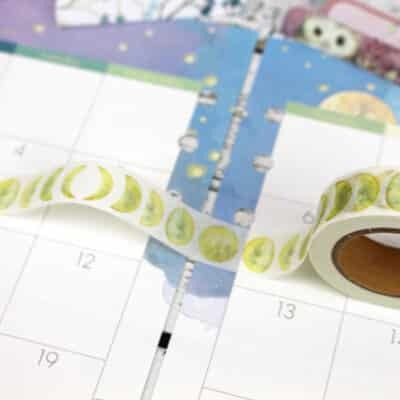 FUN FACT- Did you know that the current months Scrapbooking and DITL kits will co-ordinate with the following months Planner kits?? I know right????? Here is a little close up…..LOVE those colours so much! I use the SNAP! 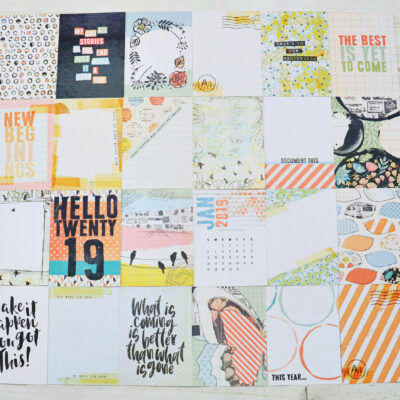 pocket pages by Simple Stories in case you are wondering. They fit quite nicely in my A5 planner but you do need to repunch the holes to fit. Here is another way I will document a favourite quote. By using the alpha stamps that were in a kit from a few months ago. 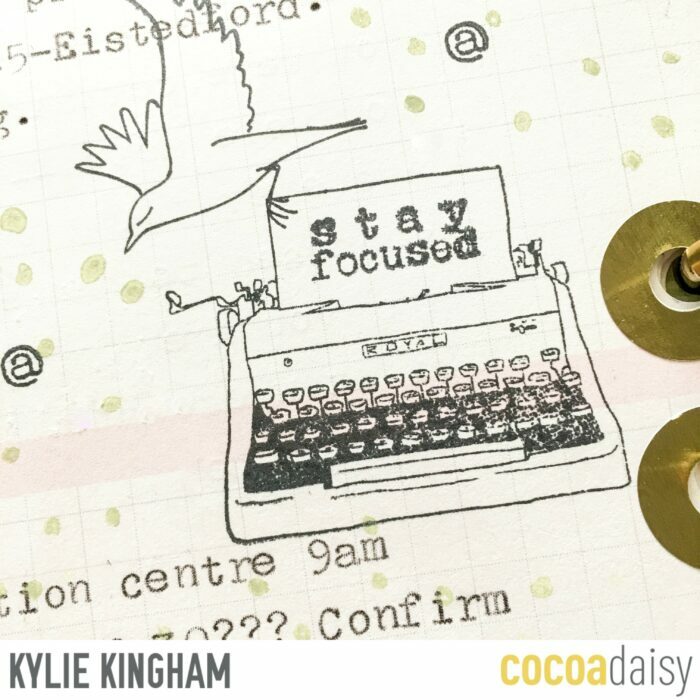 And finally…..Since we are speaking of stamps, can we all stop and admire the typewriter stamp from this month. That’s true love right there. So so beautiful! 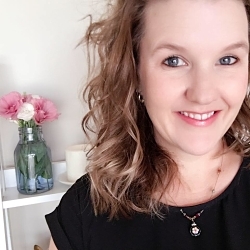 I hope you have enjoyed my September Planner favourites, and you are inspired for your own planning. 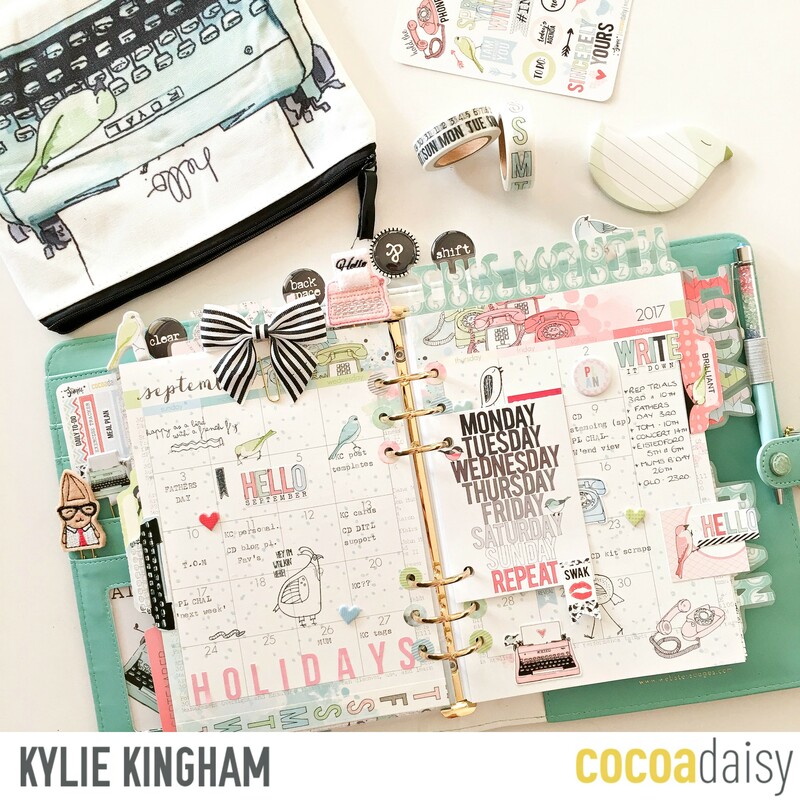 Oh yes, it's a SCRAPBOOKING design team call from Cocoa Daisy! absolutely beautiful. I love your style. seeing this kit is why I decided to try a subscription to cocoa daisy. Would love to have this kit. Thanks so much for you right lovely feedback! I’m so happy you enjoyed it! Enjoy your subscription. Thanks so much for your lovely feedback. I’m so glad you enjoyed it. Enjoy your subscription! Beautiful! , and so inspiring! Thank you for sharing! Thanks Deborah,I’m so glad you enjoyed it. What a great and thorough blogpost. Thank you so much, Kylie! always inspired by you my sweet friend! I especially loved the pocket page! simply lovely! Your set-up is so beautiful and creative. Can you offer any suggestions on how to utilize the Daily To Do Pages? They are so pretty but I struggle with how to use them so they are blank most of the time. I myself am trying to get into a routine of writing on these pages last thing of the day, for the next day ahead.Writing down things I need to get done, shopping list, meal plan etc.Hope this helps and thankyou for your kind words.